The Banking Swindle is not an economic textbook filled with technical jargon that only serves to obscure important issues. Rather, this is a book intended to explain in a straight-forward manner the way private banking interests - which have no loyalty to anything other than to greed - create credit and money as profit-making commodities which has driven individuals, businesses and entire states to ruin through debt. 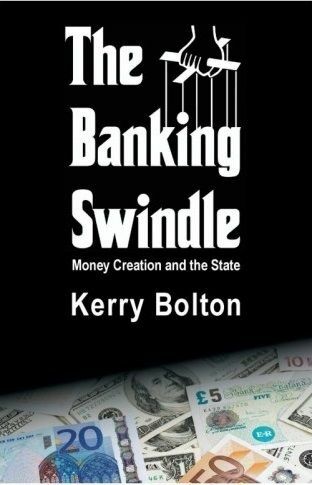 As importantly, The Banking Swindle examines the many communities and states that have rejected the fraudulent banking system, and sometimes had to fight to do so, and brought prosperity where there was destitution, by taking issuing money and credit for their legitimate purpose: as mere tokens for the exchange of goods and work, debt-free. The Banking Swindle is unique also in regard to its coming from the ‘Right’, and redefining the ‘Right’ with precision, after decades of having been misinterpreted by both the Left and Classical Liberals as being synonymous, especially in the English-speaking world, with Free Market Capitalism, which it is not, and never has been. Indeed, as The Banking Swindle shows, drawing on such thinkers as Oswald Spengler from the Right, and Karl Marx himself from the Left, Free Market Capitalism is subversive and anti-conservative. The Banking Swindle shows that historically it has been the Right that has fought Usury, that it was Rightist parties that offered clear policies on overthrowing the power of the bankers. The Right has largely forgotten this background, at the very time when policies are needed to address the world’s Number One issue: Debt.